Words to Sweat by watches its “waste-line” carefully, so please find the press kit as PDF documents below. 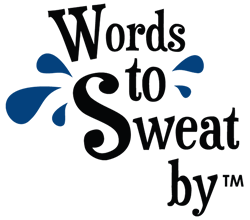 If you are looking for high res images of Words to Sweat by products, you can find them here. Want to know what people have been saying about Words to Sweat by since 2010? Check out the press page. If you have additional questions or need something not provided here, please contact us.